I am so glad you are here to celebrate poetry and community. Poetry Friday is a perfect way to celebrate. As is J. Patrick Lewis’ anthology The Poetry of Us. I love this gorgeous book because it uses poetry to celebrate the crazy diverse community that is the United States. There are wonderful poems about everything from “Saturdays at the Portland Farmers Market” (by Janet Wong) to the Oklahoma Dust Bowl (“Child’s Chant” by Renee LaTulippe) to the “Tulip Time Festival” in Holland, Michigan (by Buffy Silverman) to the Albuquerque International Balloon Festival (“Mass Ascension” by Michelle Heidenrich Barnes). The book highlights regions, geography, animals, culture, events, history, food, literally everything you can think of. To me this seems like exactly the book we need right now, and wouldn’t it make a wonderful holiday gift? You can see why I am especially thrilled to have my poem, “The Menorah,” included. As tonight is the sixth night of Hanukkah, it seems an appropriate poem to share today. Most of the year, I sit and wait. old wax pried from my fists. hidden in a suitcase, wrapped in a blanket. At night I stand in the window, defying the dark. singing, together, year after year. until my hands are full. the cold, dark days will come again. I hope that if you are facing cold, dark days (as we are here in Washington), you are also finding warm, glowing lights and good company (human, literary, or furry!) to share them with. Please feel free to comment and add your link. Also, if anyone might be interested in working together on a poetry proposal for NCTE next year, please let me know. 0 0 lsteinglass lsteinglass2018-12-06 22:15:482018-12-06 22:15:48Welcome to Poetry Friday! That’s really lovely. Thanks for sharing, and thanks for hosting! Happy holidays! Liz, what a wonderful and joyous post. I love the story of how your menorah came to your family and how it holds one more flame each night. This is perfect for the Poetry of US….perfect for this latest fall and dark night. I wish your family health and happiness. Thank you for hosting Poetry Friday. I so appreciate being able to kick it off Thursday evening. This week, I’m sharing an abbreviated bibliography of middle grade books in verse that specifically address history standards. I contend that poetry can do heavy lifting of history. Enjoy the weekend. Happy Hanukkah, Liz! Savor the moments the holiday brings to you and we’ll savor your words. Love your poem, Liz. Happy Hanukkah! Must check out that anthology ASAP. Thanks so much for hosting this week! 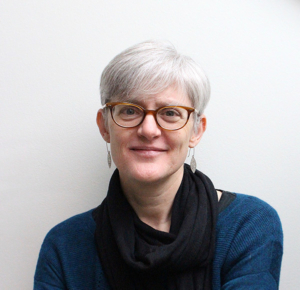 Liz — I love the image of the menorah’s hands taking each flame in turn. “Every night I am handed one more flame–/ until my hands are full.” Every year it’s my job to clean the wax from the menorah and pack it away for next season. It’s wonderful to have special memories from family and traditions, Liz. This is a beautiful poem you’ve written, especially including from where the menorah came – stories make the blankets that warm us, don’t they? I love “old wax pried from my fists”. Thank you for hosting! Appreciations for your hosting today, and CONGRATS on the pub date for your soccer book. Woo hooooo! Liz, this is just beautiful! I really adore “old wax pried from my fists” and also this menorah’s personal history. And “defying the dark.” Okay, I love a whole lot about it! This poem defies the darkness, as all wonderful poems do. Happy Hannukah! Thanks for hosting the Roundup! I can see more of your actual post now! The banner heading still covers the top 1/3 of the page and doesn’t ever move up still, but it looks much more inviting now than it did. I need to do some site reorganizing and a bit of updating in colors. It’s all so expensive and/or time-consuming! Wisconsin faces cold, dark days, too, both weatherwise and politically, as my post for today describes. 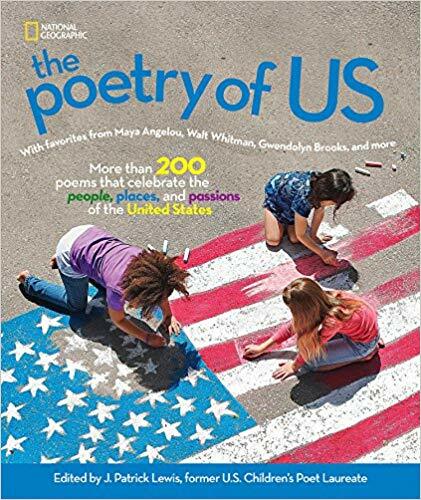 I’m looking forward to reading The Poetry of US, which sounds irresistable and timely. I love the voice of your menorah, especially “old wax pried from my fists” and the image of the family shining in its light. What better way to celebrate a nation’s diversity than through an anthology of poems serving as a clearly articulated piece of evidence. Thank you for hosting Elizabeth and for the timely reminder that in sharing our diversity we also share our humanity. Gorgeous post and perfect timing Liz–your poem is glowing and spreading it’s light! I’m looking forward to reading J. Patrick Lewis’ new anthology “The Poetry of Us.” It seems to be chockfull of so many rich poems from all over, thanks for sharing it with us. Happy Hanukkah! I love all the images of light and dark and the personalization of the menorah. The shift from an image of dried wax and fists to hands filled with glowing flame was moving and powerful. Thanks so much for sharing your beautiful poem and for hosting this week. Thanks for hosting, and for the lovely poem! Great post, Liz. I was so taken by thinking of your hands metaphor. The hands/fists…a stunning image….that hold the candle. The hands that held your menorah and the hands that now place it in your window and continue to light the candles. The hands that bring your poems into the world, too, and cook the latkes, hug the children, hold your family. Light, hope, conviction, tradition. Happy Hanukkah. I am very interested in being part of NCTE again especially since it is in Baltimore. Email me if you think I’d fit with your idea. The 4 times I was selected (once at TAWL) I put in a solo proposal and was joined with others. I may do that again. But I would love to join a panel, especially with you. Liz, that is just fantastic in so many ways…and reminds me that I have not taken the time to really work my way through this treasure of a book! Like others, I’m charmed and touched by the the image of the menorah’s waxy fists, waiting hands, and the resoluteness of her voice (somehow I’m sure the menorah speaking is female, although I can also hear the voice of a male menorah). I too would be interested in working on a proposal for NCTE–I tentatively have a couple of possibilities bubbling. Your new SOCCERVERSE book makes me think of something around poetry and boys–not, of course, that soccer = boys, and yet…. Thank you for hosting, and chag urim sameach! Enjoyed your poem very much, Liz! Perfect timing. Thanks so much for hosting! Congratulations on having your beautiful poem in that beautiful collection. Happy Hanukkah! Love your poem. The waiting, the lights and celebration, the waiting. I am definitely interested in participating in a poetry session at NCTE! So nice to be part of such an incredible book with you, Liz…and I love your very personal poem, and is it helps someone like me (who’s never celebrated Hanukkah) to feel like I’m a part of the family. I have yet to be able to attend NCTE, but I’m hoping to do so this year, as it is in my original hometown of Baltimore, where I was born! I have a couple of ideas about poetry proposals based on workshops I’ve presented to adults, so if you’re still looking for people, please let me know. Thank you for hosting. Your poem is lovely and reminds me of friends who introduced us to some of the customs of Hanukkah, years ago. Congratulations for having it part of what sounds like a wonderful book. My poem is somewhat obtuse today, on mournfulness. Thanks for hosting poetry Friday. The voice of the menorah in your poem is a treasure in the way it weaves together the history of one family and the holiday. So nicely done! Thanks for the poetry shout-out. I love your poem in the voice of the menorah. It’s really lovely. And it makes me think of my grandparents–all of whom came to the US after WW1 with so few possessions. I don’t think they brought a menorah with them, though. I do have my grandma’s Shabbat candlesticks, which I treasure. Happy Hannukah! Liz, I circled past your post in the wee hours of the morning, but could not put ideas together until just now. I have read so much about Pat’s new book and am looking forward to reading it. I love how you formatted your poem. It is a tender narrative with a favorite literary element, personification. I think children would enjoy reading it out loud with family by their side: Voices tell the story of how I came here. Story is such a powerful way of highlighting memorable and even challenging events. Thank you for hosting. I love your poem…I came back thinking I hadn’t linked yesterday, but later found that I had – that’s how scattered things are! Read your poem and realized, “yes” I remember, now, this beautiful menorah poem. But no comment from me. Sorry!